Review: Did We Just Become Best Fwendz? 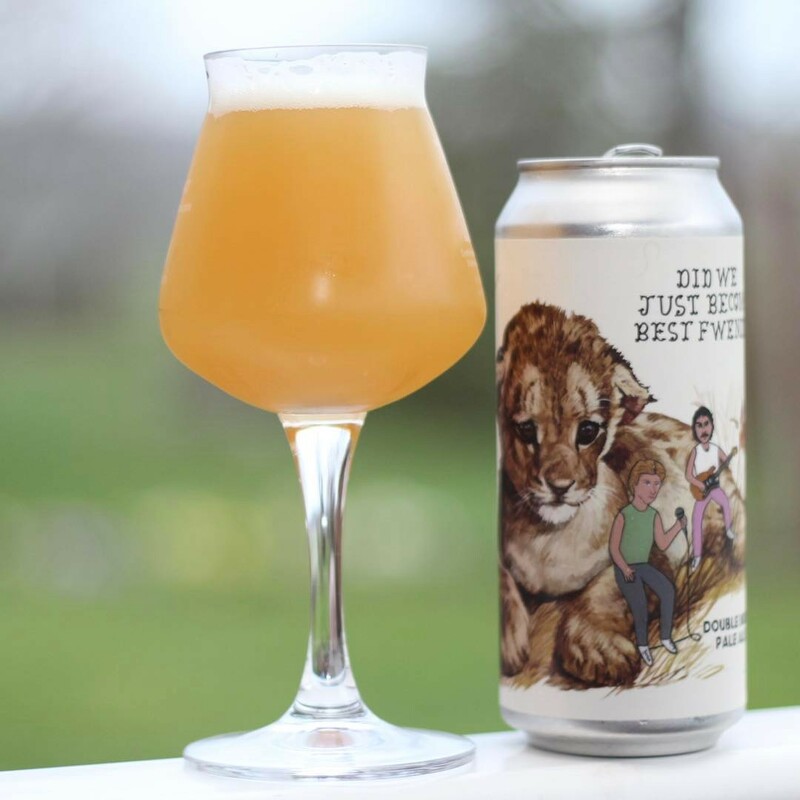 DIPA by Hoof Hearted Brewing Co.
Did We Just Become Best Fwendz? DIPA by Hoof Hearted Brewing Co.
Brewery: Hoof Hearted Brewing Co.
Holy juice bomb. This was incredibly tasty. I know that the hazy IPA “craze” will go away at some point, but until it does, I will enjoy the hell out of beers like this. This was also my first Hoof Hearted beer, and I am hella impressed. I love the artwork, description, and the flavor of this beer. Flavor-wise, it was a citrusy juice bomb with little to no resinous hop profiles. It wasn’t overly sticky or “hoppy” but you could still tell that it was a nice IPA/DIPA. Did We Just Become Best Fwendz? : Welcome to the dojo. Loosen that gi and repeat after me. “Velociraptors, Hall and Oates, vintage leather duster coats.” Ahhh, very good. It’s common knowledge that the power of two is greater than that of a mere mortal. It’s for that exact reason that we’ve selected choice co-conspirators to collaborate for the greater good of all. In this iteration of our newest rotating DIPA, Citra and Motueka were forced to go belly to belly with the lights off. Frankly, the results were a bit of a surprise. Prev Review: CitMo IPA by Resurgence Brewing Co.
Next Review: Cherry Blossom by Oliver Brewing Co.